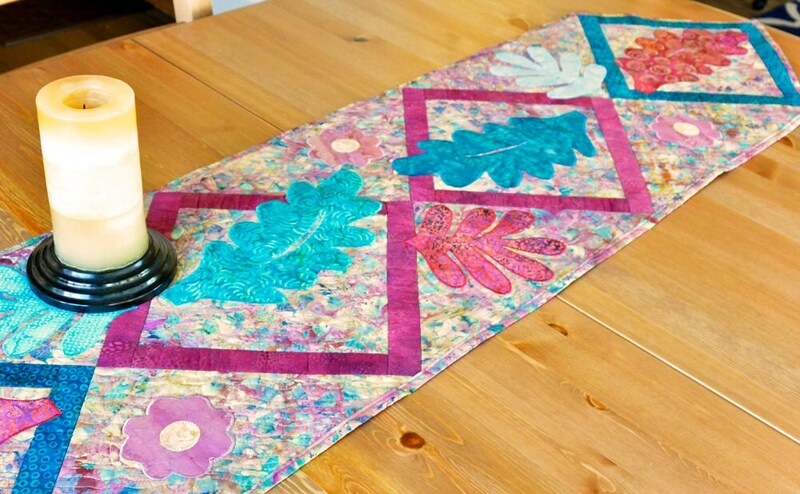 This quilted table runner in teal, mauve, and rust is sure to become a favorite table linen. Constructed from batik fabrics, the beautiful colors and appliqued leaves will complement many home decor schemes. 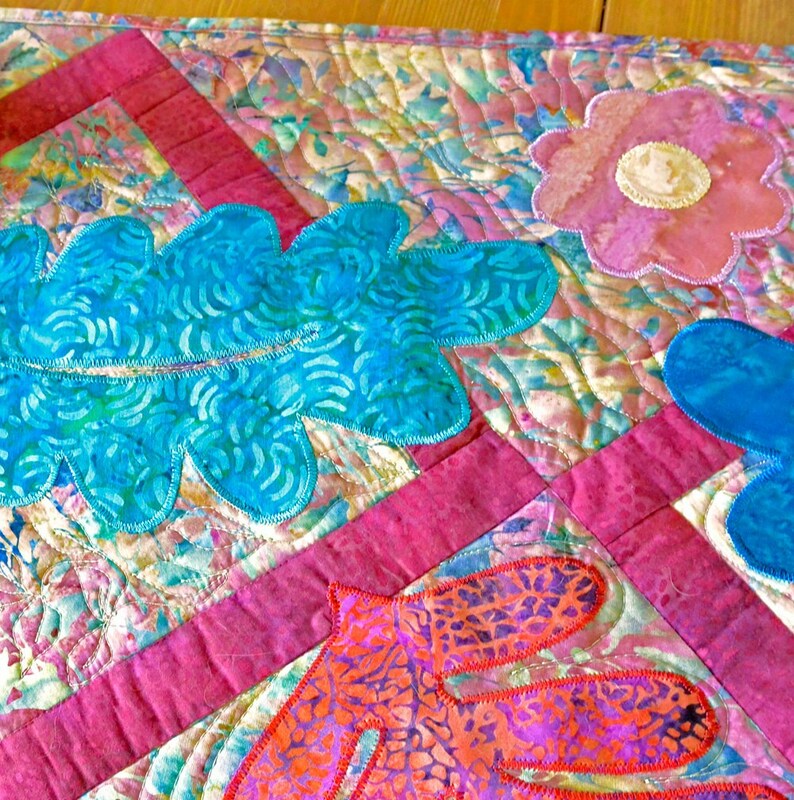 The batik fabric is also the backing. 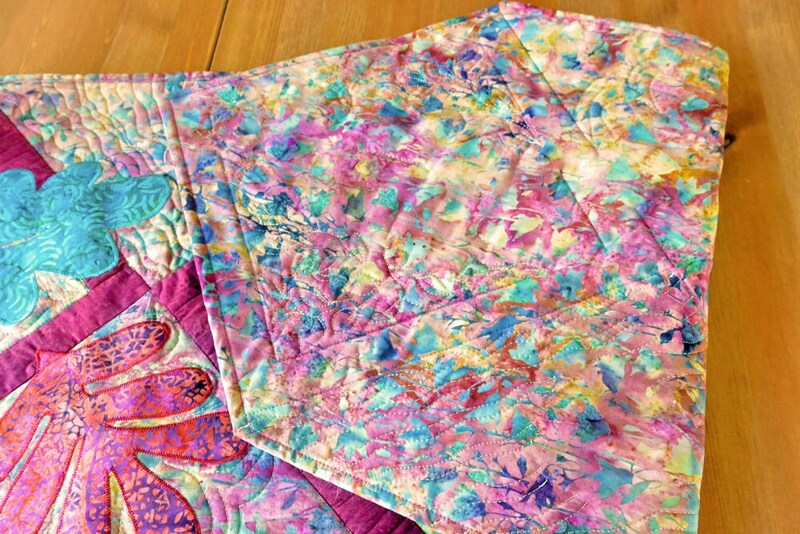 The machine quilting with cream thread varies in each area of the mat and looks beautiful on the back as well. This runner can be used year round, as well. The dimensions are 14" x 53". 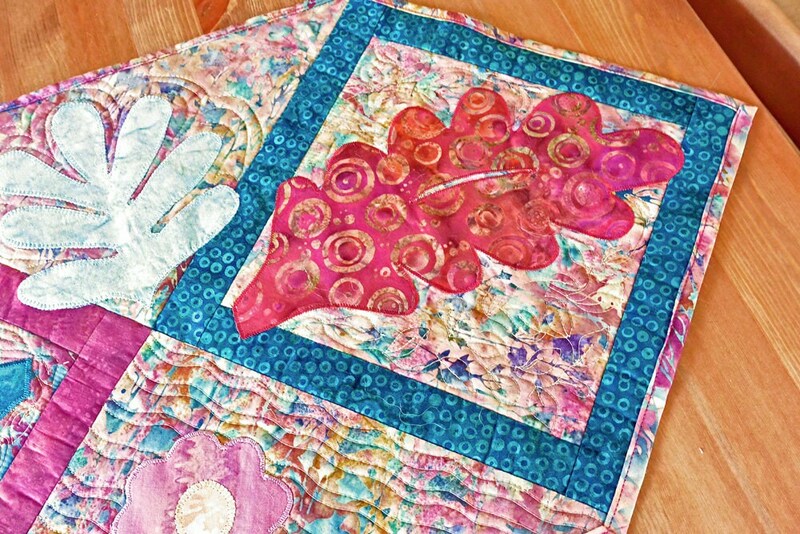 Batik fabrics are made with dyes and wax. Although this type of dying is common in Africa and Southeast Asia, "batik" refers specifically to Indonesia. 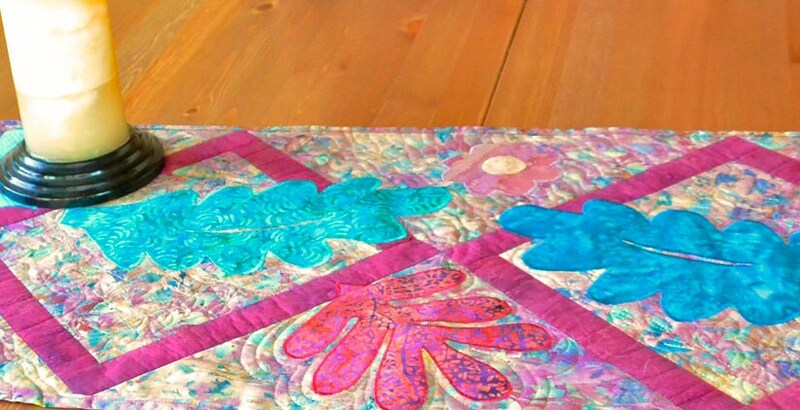 This quilt is hand-made from the finest quilting-quality cottons and is completely hand-crafted and quilted by me on my sewing machine. I use a double-fold binding which is machine-stitched in place. Care: I recommend not washing this table runner, if possible. A run through the dryer will remove dust and refresh it. Spot cleaning will also work. If laundering is absolutely necessary, hand wash in cold water or machine wash in cold on gentle cycle, low dryer, iron as desired. It would also be wise to add two Shout Color Catchers to the washer to prevent color bleed.. It will look different after washing; the fabric and batting will shrink up slightly against the thread resulting in “crinkly” texture. Many like this look, too!